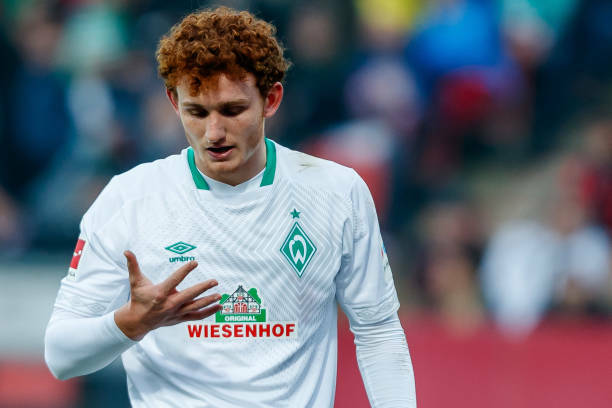 Werder Bremen have announced that USMNT international Josh Sargent has signed a long-term contract with them. The striker made his first start for the Bundesliga club on Friday night, has committed his long-term future to Bremen, whom he joined from St. Louis Scott Gallagher in Missouri almost a year ago to the day. "I'm really honoured," said Sargent, who has scored twice in nine Bundesliga outings. "This contract extension also shows the club's faith in me. I've felt at home in Bremen since day one with Werder and I'm looking forward to the coming years." Sargent has also scored seven goals in 12 games for Bremen's reserves this season, but is now a fixed member of the first-team and is continuing to impress head coach Florian Kohfeldt. "Anybody who knows Josh in the dressing room, in training or in matches can see that not only is he a talented young player, but also somebody with a keen eye and willingness to learn," said Kohfeldt. "I'm convinced that Josh can be a very important part of our squad."